A great deal is at stake in understanding the moral dimensions of economic behavior and markets. Public debates over executive compensation, the fair trade movement, and recent academic inquiries into the limitations of rational-choice paradigms all point to the relevance of moral values in our economic decision-making processes. Moral values inform economic behavior. On its face, this proposition is unassailable. Think of the often spiritual appeal of consumer goods or the value-laden stakes of upward or downward mobility. Consider the central role that moral questions regarding poverty, access to health care, the tax code, property and land rights, and corruption play in the shaping of modern governments, societies, and social movements. Ponder the meaning of fair trade coffee and organic produce as well as Walmart’s everyday low prices. The moral aspects of the marketplace have never been so contentious or consequential; however, the realm of economics is often treated as a world unto itself, a domain where human behavior is guided not by emotions, beliefs, moralities, or the passions that fascinate anthropologists but by the hard fact of rational choices. 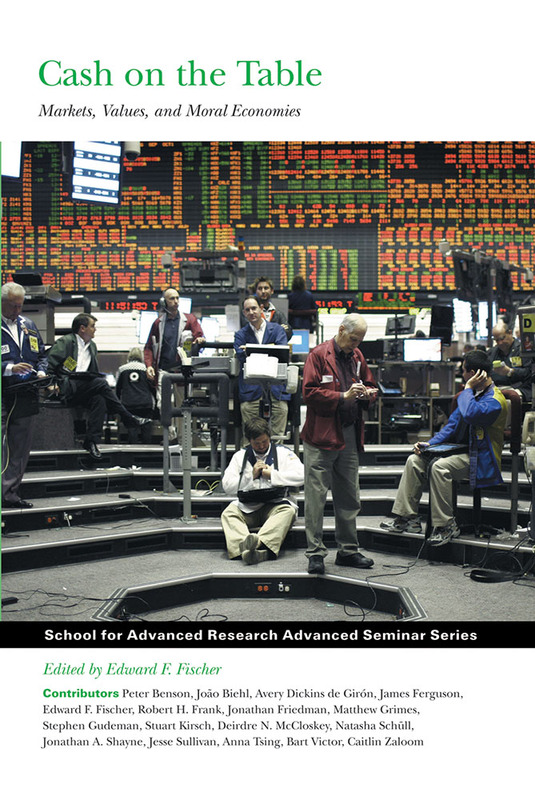 Anthropologists have historically tended to focus on the corrosive effects of markets on traditional lifeways and the ways in which global markets disadvantage marginalized peoples. Economists often have difficulty recognizing that markets are embedded in particular social and political power structures and that “free” market transactions are often less free than we might think. If anthropologists could view markets a bit more ecumenically and if economists could view them a bit more politically, then great value—cash on the table—could be found in bringing these perspectives together.